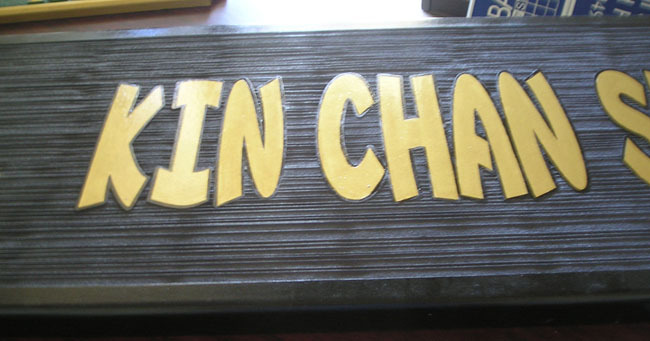 Shown above is a metallic gold painted 2.5D carved high-density-urethane (HDU) restaurant sign, with a sand-blasted wood grain background. To see prices or get Estimate and Order forms , click on gray boxes in upper left margin. Click on dark gray tabs on the header to see Home and other informational pages.